WELLINGTON, New Zealand — The history of Super Rugby has clearly shown that new teams joining the competition face a long, hard initiation. The Perth-based Western Force came along in 2006 with high hopes, solid planning and a strong and loyal support base but won only one game in their debut season. In 12 seasons, their highest finish was seventh. The Melbourne Rebels won three matches in their first season in 2011 but haven't yet finished higher than ninth. South African's Cheetahs struggled through 12 largely fruitless seasons before being cut from the tournament in 2017. They managed a sixth placing in 2013 but otherwise couldn't finish higher than 10th. The Southern Kings lasted only three seasons during which they managed only six wins and counted a 15th placing as their best. Even the Jaguares, stuffed with Argentina test players and springing fully-formed from a country with a solid rugby tradition, have found life tough, finishing 13th and 10th in their first two seasons before rising to seventh last year. 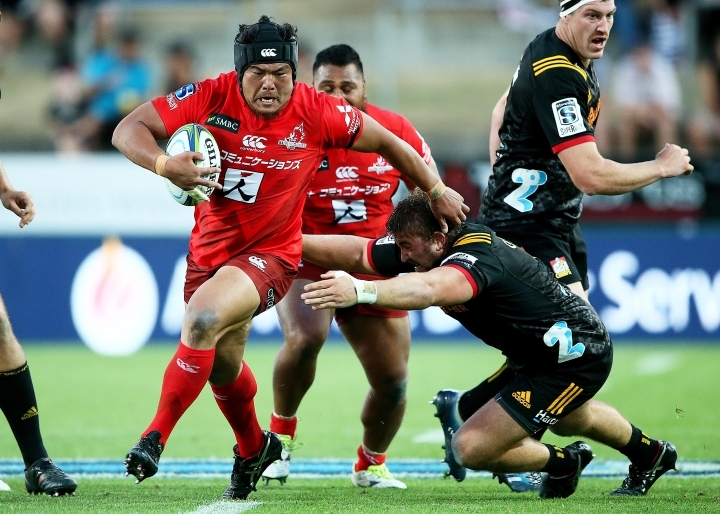 The reasons are simple: Super Rugby is a tough competition because of the length of its season, the rigors of travel and because it is made up of weekly matches involving many of the best players in world rugby. It's not surprising then, that Japan's Sunwolves have struggled in their first three seasons in the competition, winning only one match in their debut season and six in their first three years. Japan has some rugby heritage and the sport has risen both in popularity, profile and in strength with the growth of its professional club competition. But starting a Super Rugby team from scratch, even when it is built on the foundation of a provincial or state team with a long history, is difficult. Depth of talent isn't easy to build, it takes time, and though the Sunwolves have access to many players from the Japan national team they struggled on that score in their first few seasons. Finding players who can cope with the rigors of Super Rugby is difficult and also not the work of a single season. They now seemed to have cracked that with a deep and diverse squad, drawing on a core group of Japan test players supported by tough and experienced professionals from Australia, New Zealand, South Africa and the Pacific islands. The team is guided by Japan national coaches and ex-New Zealand All Blacks Jamie Joseph and Tony Brown and a number of strong assistants, including Australian Scott Hansen. The additional apparatus needed to support a Super Rugby team has patiently been put into place. A team's progress is measured in small milestones. 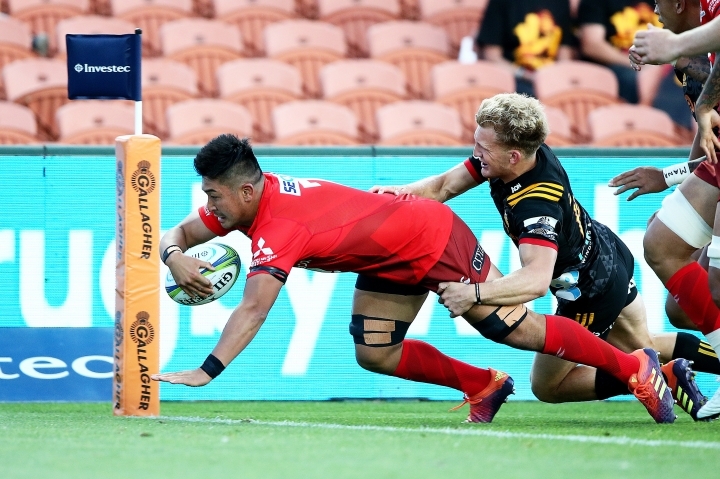 There's the first win, which came for the Sunwolves in April 2016 when they beat the Jaguares; and the first win against a New Zealand club, which came last year against the Auckland-based Blues. 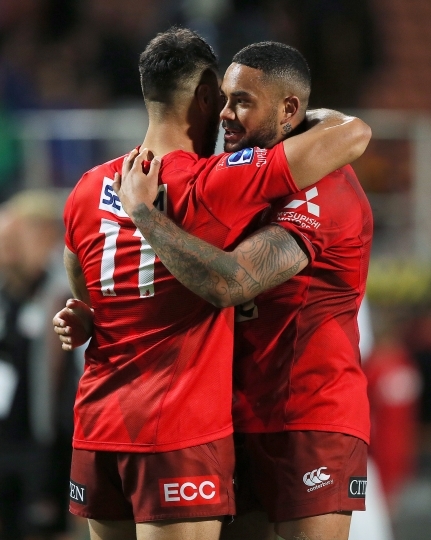 The Sunwolves ticked off another milestone achievement on Saturday when they beat the Chiefs in Hamilton for their first win away from home, achieved at their 25th attempt. Like other milestones, it marks the progress of a team steadily gaining its footing in Super Rugby. "It's something that the franchise has been building toward for a long time," Hansen said. "There are a lot of people in the past that have done a lot of work to allow us to be where we are." 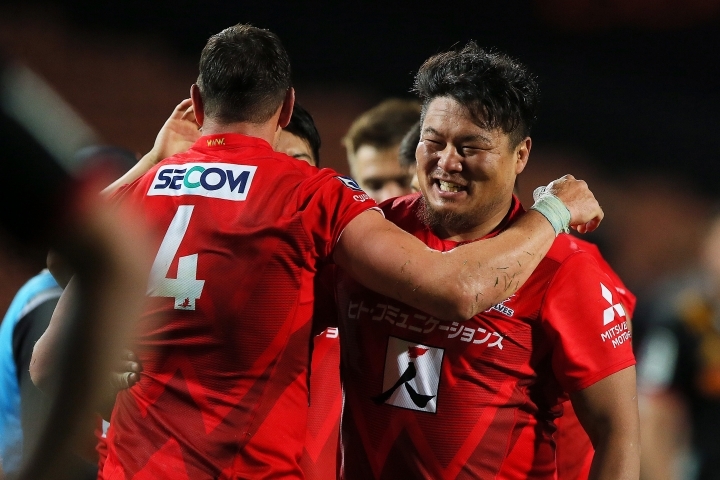 The Sunwolves' dressing room was a raucous scene after the match as its multi-national squad celebrated the achievement. "Everyone celebrates their own way," New Zealand-born captain Michael Little said. "(There are) a couple of Georgians, South African boys, Australians, us Kiwis, and especially Japanese are probably the biggest celebrators. "We've got an awesome environment and just that time together with the boys, especially after a victory, means a lot. It's awesome to get a victory in New Zealand. It's probably the hardest place to tour."